Embark on a fantastic and humorous journey through Oddworld - a changing land of creatures and crazy monsters. Munch, the Gabbit with "odditude," and his sidekick Abe lead an off-beat revolution to save the world. With their sacred land in jeopardy of being destroyed by the greedy Glukkons, Munch and Abe team up to teach those rascals a lesson by using their chanting prowess to control the enemy, arming themselves with wacky weapons, and acquiring power-ups for extra boosts. As with the rest of the game world, the finely detailed characters and environments, as well as a refreshing charm, draw you into an experience with the quality of a Pixar film. Prepare for gaming to get very odd indeed. 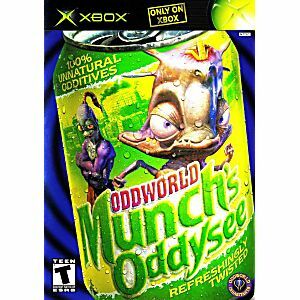 This was the first XBOX game I got when the XBOX launched. 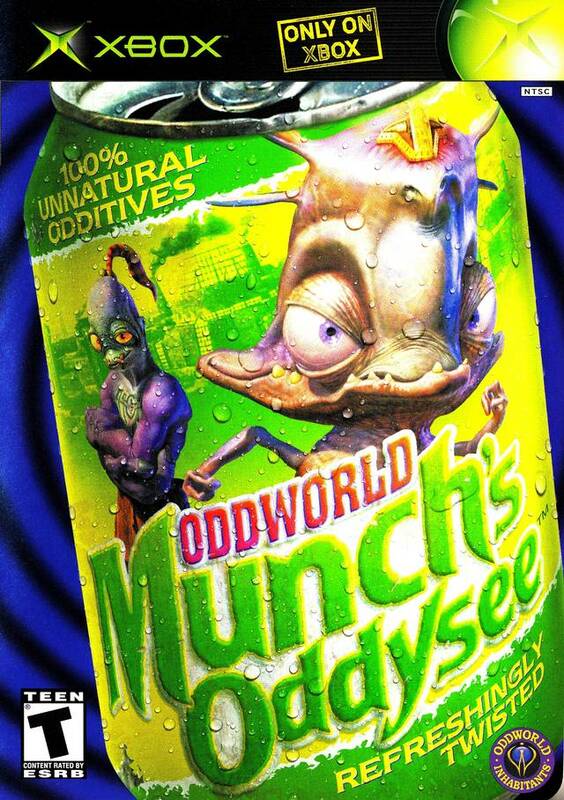 I had never played an Oddworld game prior, but there was something about this game that made me gravitate towards it. It's a great 3D platformer, innovative story, fascinating characters and just a beautiful setting. Much fun will be had with this game. A truly terrific game and one of my favourites from the Oddworld series. This was the first Oddworld game I ever played and I now own all the games in the series. A great purchase and worth much more than it costs.